Naturalized in California. Present in 8 counties according to Calflora. Native of Australia but widely introduced and naturalized in tropical and subtropical regions of the world. There are many points in GBIF. This species is cultivated for forestry. "The trees scatter their winged seeds and have become undesirable weeds in some pastures and rangelands of Hawaii, requiring eradication." Little, Jr., E. L., & Skolman R. G. (2003). Common Forest Trees of Hawaii. Naturalized in California. Present in 8 counties according to Calflora. There are many points in GBIF, including areas of South Africa that are similar to California. Invasive in Jamaica, Zimbabwe, South Africa and Hawaii. In South Africa, invades forest edges, savannah and riparian areas. Hawaii: "The trees scatter their winged seeds and have become undesirable weeds in some pastures and rangelands of Hawaii, requiring eradication." In South Africa, invades forest edges, savannah and riparian areas. A regulated weed in South Africa and a problem in Western Cape, Eastern Cape, KwaZulu-Natal, Gauteng, Limpopo and Mpumalanga. 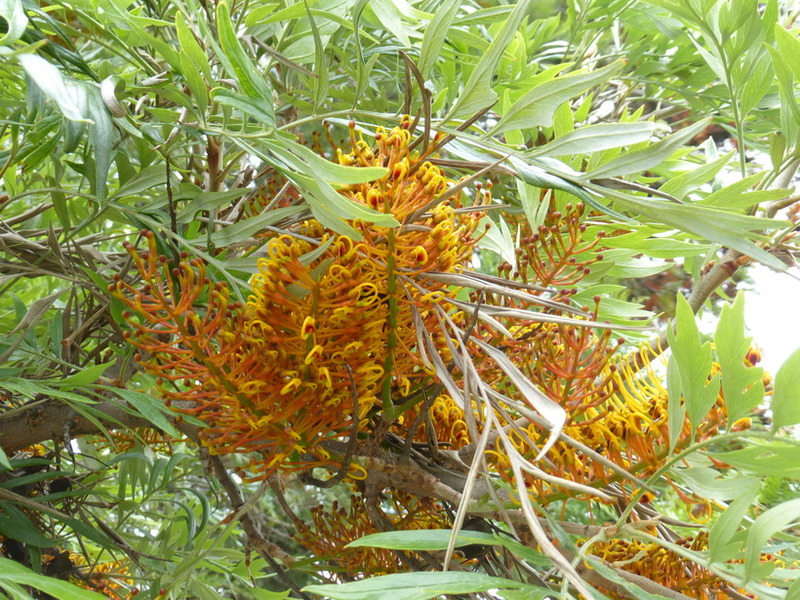 There are numerous species of Grevillea listed in Randall 2012, although most have just a couple of references to it being naturalized or a weed. Grevillea banksii is invasive and a regulated plant in South Africa. Can displace native plant communities in South Africa. Extensive naturalized stands in Hawaii. "G. robusta is vulnerable to fire and hence is excluded from the fire-prone Eucalyptus forests and grasslands that occupy much of its natural range." No mention of toxicity in references, other than possible allelopathy. Can invade savannahs in South Africa but I found no mention of impacts to grazing specifically. A tree that grows 40-70 ft high with many branches. Described as invasive but I did not find data to support it creating impenetrable stands. Can reproduce vegetatively through root suckering. This is a tree so would be unlikely to have this form of reproduction. Produces "great quantities" of seeds but I do not have a specific number. There are about 40,000 viable seeds/kg, but again, not sure how that translates to seeds per plant. Described as a prolific seeder. No mention of any special requirements in the references I found. Described as an early and prolific seed producer so I am assuming yes. "Flowering commences in October in lowland occurrences in the native range, and seed is mature by the end of December. At high elevations, flowering and seed production occur 4-6 weeks later (Harwood, 1992a)"
Winged seeds are dispersed by wind.